Welcome to today's BEST blog interview with Jennifer Bates. She is located in Phoenix, Arizona where she makes her journals and artwork that she sells under the label Sea Lemon on Etsy. Hi Jennifer, nice to meet you. "Sea Lemon" is a funny shop name, what was the reason for choosing it? It started with the realization that I hoard too many paper materials, and wanted to turn them into something useful instead of tossing them into the recycle bin. I take paper materials that were once useless (considered a reject or "lemon" among a "sea" of stuff) and give them a new purpose. And in case you are wondering, a sea lemon actually does exist. It's an ocean creature that looks like a lemon textured slug. I've always enjoyed making things with my hands. 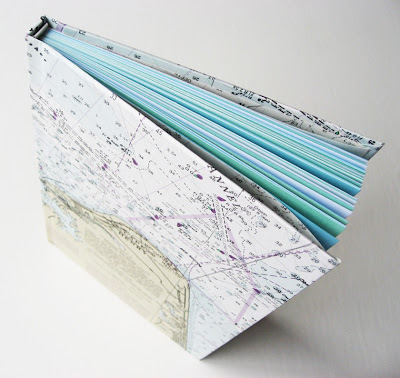 Bookmaking entered my life during college — it was a requirement in my design class. After college, I became a full-time graphic designer and found myself missing the craft of bookmaking. 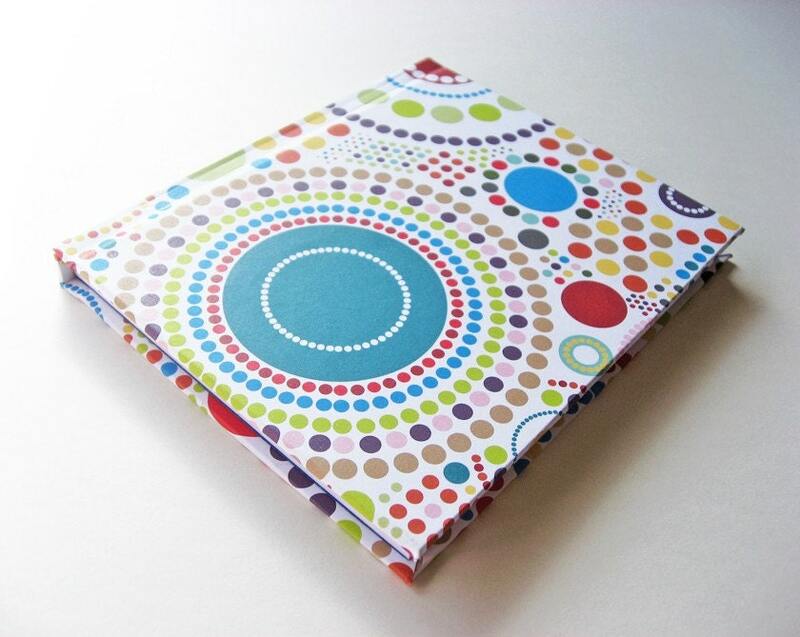 So in 2008, I joined Etsy and dove back into bookmaking as a creative outlet. So you have a full day-job beside caring for your Etsy-Shop. 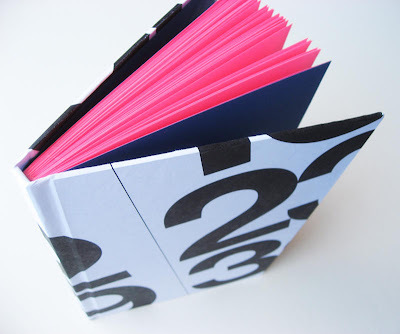 When do you find time for bookmaking and how do you work? I find time at night and on weekends to make books. I do have a large desk to work at, but I don't exactly make it my designated bookmaking area. I like to rotate between different spots in my home, for some weird reason. Sometimes I bind and sort paper on the coffee table while watching TV, other times I'll take over the dining table to cut board, and if I'm at my desk, I'll bookbind in front of my computer. Tell us a little more about your shop and your crafting: What do you make and sell? I make handmade books and original artwork. 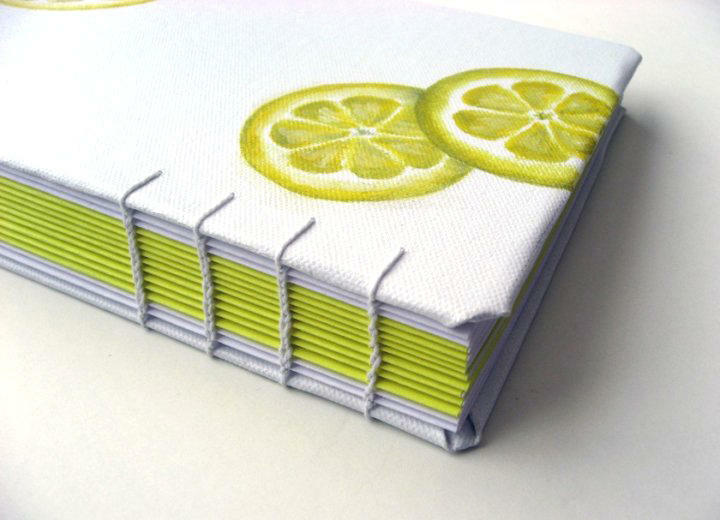 When I became a seller on Etsy, I only sold handmade books. Recently, I've been slowly integrating my artwork, such as originals, prints and painting on the books themselves. I like to use recycled or repurposed materials when I can. My favorite techniques are Coptic stitch and case binding. My shop is a mix of cute, quirky and modern tastes. My books usually attract customers with those aesthetics, and I am happy I can appeal to that audience. 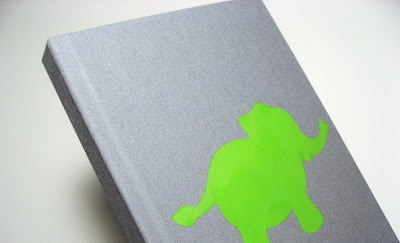 On occasion, I will receive custom orders, which I enjoy making because they usually include something special but quirky on the book, such as a green elephant, or numbers of specific dates. I like to use colored paper for the pages. I like bright, bold colors and think they are fun to use in books. Often I pair colored paper with less vibrant covers, adding a nice pop of color to the book. I feel colored paper makes my books more unique and different than the traditional all white pages you would expect. Do you have a favorite book about books that you would recommend? I have one book about bookbinding, "Bookbinding: Techniques and Projects" by Josep Cambras. It's a good book for a general overview of bookmaking, tools and materials. At this point, I'd really like to find books with more advanced bookbinding techniques and make time to experiment with different types of binding that are similar to Coptic stitching — I would love any book suggestions! 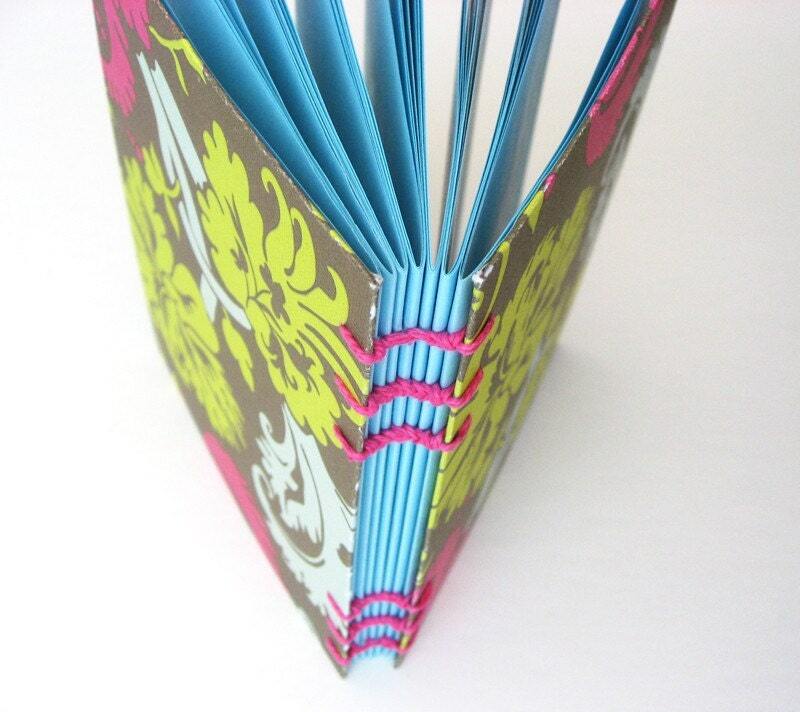 I also sometimes check out bookbinding tutorials on YouTube, for more reference. Is there one piece of your work you are especially proud of? I'd have to say my favorite piece is that particular custom journal order that you can see in the photo above. The customer mailed me a large marine chart which she and her husband used while attending maritime school together. The chart had special meaning to her and she requested to have it recycled into a blank journal. She was thrilled with the final book and used it to write/sketch in while sailing with her husband. This was a special piece to me because I was able to turn such sentimental material into a new book, which will become even more sentimental as she records memories in it. As an additional bonus, I was able to keep the left over chart material (in exchange for a couple free books) and I continue use this special paper on books for sale in my shop. Do you have a crafting hero or role model? Since joining the Bookbinding Etsy Street Team, I have a wealth of personal bookmaking heroes. The talent and craft from the people in this team is incredible, and looking at their beautiful work always motivates me. Thank you for your time, Jennifer. If you want to follow up on her recent works, go have a stroll past the shelves in her Etsy Shop. You can also find her on Facebook and Twitter.